Manchester United travel to newly promoted side Huddersfield at the John Smith’s stadium on Saturday and will be hoping to return to their attacking best after a dour draw at Anfield last weekend. The Red Devils remain the only unbeaten side in the League alongside rivals Manchester City but sit second on the log after a goalless draw at Anfield last weekend saw us fall two points behind Premier League leaders Manchester City who thrashed Stoke City 7-2 at the Etihad. We have equalled our best start to a Premier League campaign recording 20 points from 8 games since the Legendary Sir Alex Ferguson side in 2011/12 season and will be looking at heaping more misery on David Wagner’s led side who are winless in their last five games. 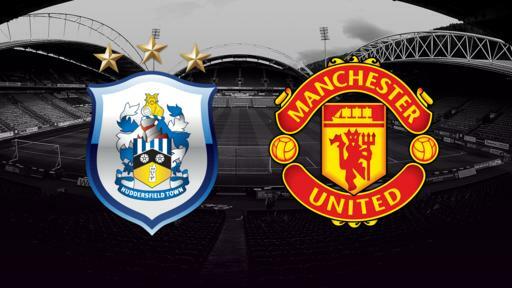 Huddersfield will likely sit deep and hope to hit us on a counter attack but the Red Devils quality will be too much for the Huddersfield’s defence to handle and would be hoping to return to winning ways at the John Smith’s stadium. We take a look at United’s predicted line-up against a struggling David Wagner’s side. Spanish international David De Gea will likely retain his spot in goal barring any injury. He is arguably the best goalkeeper in the Premier League currently keeping seven clean sheets and conceding just two goals in eight games so far this season and would be looking at adding to his clean sheet tally for the season against a struggling Huddersfield side on Saturday. United’s defence has been impeccable so far this season conceding just two goals and would be hoping to continue to keep the Terriers attackers at bay. Antonio Valencia will likely retain his spot at right back after keeping his place in United’s 0-1 away win to Benfica in the Champions League, while in the heart of defence Chris Smalling will likely partner summer signing Victor Lindelof in the place of Phil Jones who is a major doubt for tomorrow’s game against the Terriers due to a minor injury. At left back, Ashley Young is expected to return to the starting line-up after being dropped to the bench in favor of Dutch defender Daley Blind against Portuguese side Benfica in mid-week. United growing injury woes in midfield continues with Michael Carrick, Paul Pogba, and Marouane Fellaini still out injured, summer signing Nemanja Matic will likely partner Fans favorite Ander Hererra in the middle of the park and will be hoping to continue from where they left off in midweek against Benfica. In attacking midfield, Anthony Martial is expected to start on the left ahead of Marcus Rashford who picked up a knock against Portuguese side Benfica in the Champions League, while in the hole behind the striker, Armenian playmaker Henrikh Mkhitaryan will likely retain his place and will be hoping to get at least a goal or an assist. On the right hand side of the midfield, Juan Mata will likely retain his spot after putting up an impressive display in mid-week against Benfica. Romelu Lukaku is expected to lead the line barring any injury and would be hoping to return to his goal scoring form after failing to score in his last two games. The Belgian would be a thorn in the Terriers defence and will be hoping to add to his tally of 11 goals and one assist in 12 games so far this season. Probable lineup: De Gea, Valencia, Smalling, Lindelof, Young, Matic, Hererra, Martial, Mkhitaryan, Mata, Lukaku.